Thousands of David Bowie fans gathered in London for a charity concert on what would have been his 70th birthday. Stars including Simon Le Bon, Tony Hadley and La Roux were among the performers at the event which came just ahead of the first anniversary of Bowie's death. Actor Gary Oldman, a close friend of Bowie, sang the first song. The three-hour show in Brixton, Bowie's birthplace, included performances of hits such as Let's Dance and Changes. Spandau Ballet's Tony Hadley and Def Leppard's Joe Elliott were also among the performers. 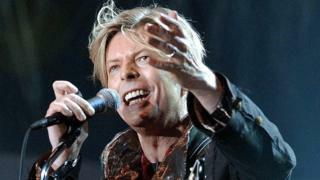 Musicians who played with Bowie including keyboardist Mike Garson and guitarist Earl Slick also took part. Bowie died on 10 January last year. While the concert was taking place, Bowie's son, filmmaker Duncan Jones, tweeted pictures of his father, writing: "Happy birthday (grand)dad. We love you. Goodnight." Other songs featured included Ashes to Ashes, All the Young Dudes, Life on Mars, Rebel Rebel, The Man who Sold the World, Suffragette City, Starman and Space Oddity. As the concert came to a close, Oldman told the cheering crowd: "Our thanks to these amazing, amazing musicians - and of course to the amazing music of David Bowie." Events taking place during Bowie's birthday weekend included concerts in New York, Los Angeles, Sydney and Tokyo. A David Bowie walking tour through Brixton was also launched. All the events are raising money for youth arts education. The London concert raised funds for the Children and the Arts charity. Democrats say the release of a controversial memo is aimed at disrupting a probe into alleged Kremlin links. Is the greatest hits album dead? Which sports still use 'walk-on girls'?